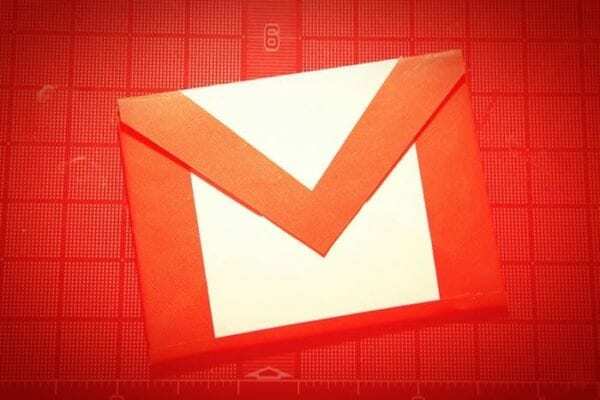 Whether your migrating your data or just want it in both places, you can easily import your Microsoft Outlook Contacts into your Google Gmail account. 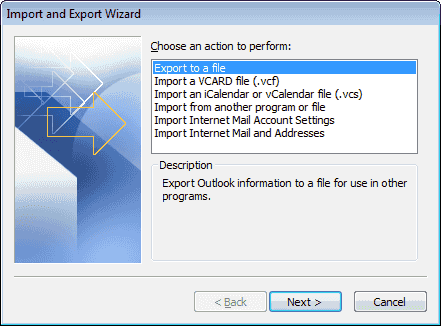 One the first screen of the wizard, select “Export to a file“, then click “Next“. 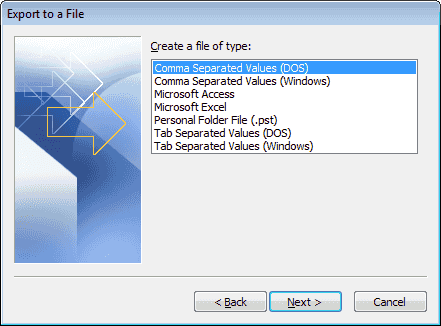 Select “Comma Separated Values (DOS)“, then click “Next“. Choose “Contacts” in the list, then click “Next“. Save the file to a location. Click the “Browse…” button if you want to avoid typing the full path. Click “Next“. The file is exported with a .CSV extension. Login to the Google Contacts page. 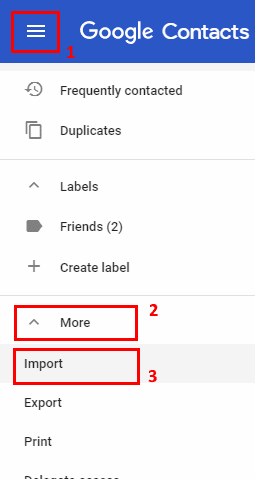 Select the “More” button on the left pane, then select “Import“. Note: If you don’t have the list of options on the left side, select the Menu icon (3 lines) at the upper-left corner of the window. 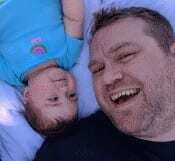 Choose “CSV or vCard file“. 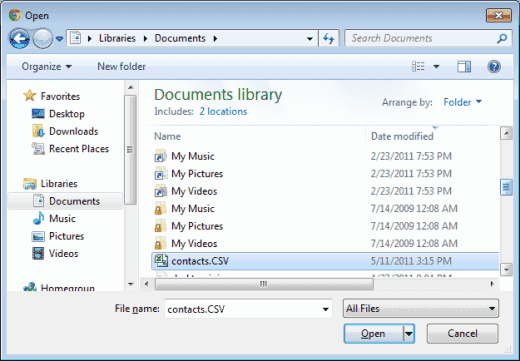 On the “Import contacts” screen, choose “Select File“. 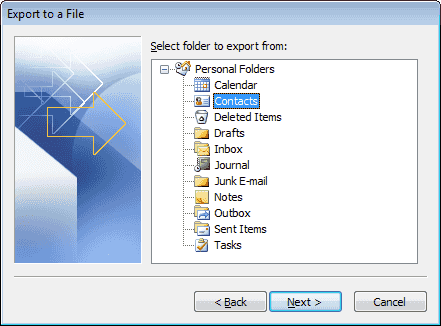 Select the file you exported from Outlook and click “Open“. The contacts are then imported and ready to use in Gmail. It did not work, i get a message saying choose a file under 20 MB. The file size is 664 KB (1,864 contacts). I looked under properties and it shows it as a CSV file.